Labor Law Pointers - Volume VIII, No. 1 | Hurwitz & Fine, P.C. Do you have a situation? We love situations. Give us a call; we are here to help with any situation. It makes our day just a little brighter if we can work out a solution to a particularly twisted Labor Law Claim. Finishing up this month’s edition, sitting here in good old terminal 5 at JFK, waiting for my flight. Depositions scheduled for today in New York on an interesting case; will have stories when it is done. Just a reminder that we handle Labor Law cases across the state. With Brian Mark located in the Metro area and the availability of flights and other transportation to anywhere, we are handling cases across the state on a daily basis. We have experience in all venues, get great results, and enjoy what we do. Think of us for across the state. We have some awesome pictures/scenarios for you this month. The first has the soon-to-be plaintiff actually in the air and falling. Assume that he had been directed during his safety training when he was hired never, for any reason, to stand on the top of the ladder, but he did so as it was the only way for him to reach the pipe he had to work on and he then fell. Just to make things more complex, assume there was a ladder which was 6 feet taller, he knew it existed and it was stored on the truck he had driven that morning to the job site, but as the truck was outside in the lot and thus the ladder was not in the room where he was working, he decided to do the job by standing on top of the ladder. Labor Law case? As a general rule, if the appropriate safety device is on the job site and the plaintiff knows it is there and he does not use it or misuses it for no good reason, sole proximate cause is a valid defense. This next one is an oldie but goodie. Do not think I have used it before, but I could be wrong. I really try and get only new pictures each month, and get some submitted by our readers. 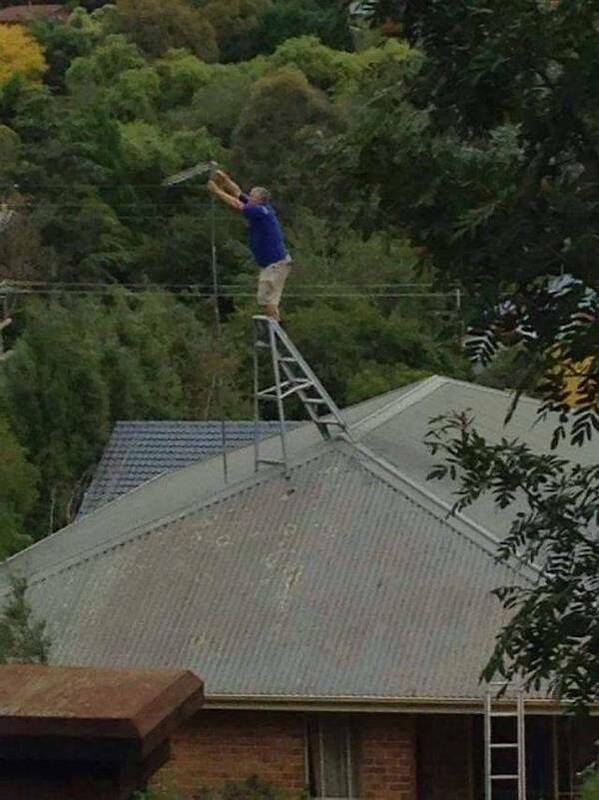 Assume the soon-to-be plaintiff is repairing the broken antenna to get the Super Bowl as his brother has invited his neighbors over to watch in his new man cave located in his 3-apartment building. The brother, of course, as a result of his pre-game traditional multi-shot warm up thinks it is a good idea to do exactly what you see in the photo and falls and is severely injured. Labor Law case? Let's look at the four basic elements of a Labor Law case. The home owner has a 3-family home and is thus a valid defendant as he does not get the homeowner exemption for a 1- or 2-family home. The brother is doing a repair to the antenna so it is a covered activity. The fall is from an elevated location; gravity-related, so that qualifies. The real question is whether the plaintiff qualifies. As it certainly appears, the plaintiff was simply assisting his brother as a volunteer, so he is not a “person so employed” and thus not a valid plaintiff and the protection of the Labor Law is not available to him. 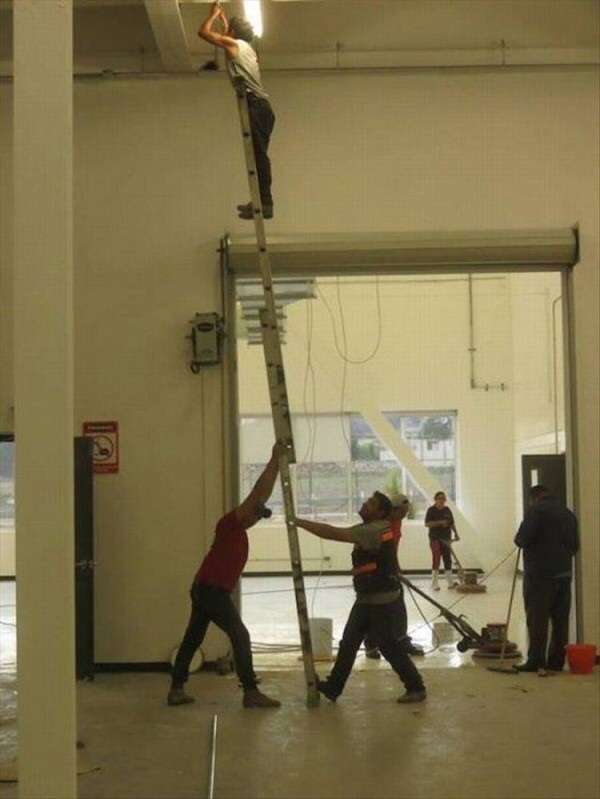 Here the plaintiff assembled a team of his co-workers to hold the ladder for him as he needed to repair the broken ballast in the light. One of the co-workers needed to scratch his foot and caused the plaintiff to fall sustaining an injury. Labor Law case? Yes, a person is not, and cannot be a safety device. Thus, there was never an appropriate safety device for the plaintiff to use and it is a Labor Law case. I am not sure what the heck is going on in this photo. It appears as if the future plaintiffs are in a race to get high enough to cause serious injury when they fall, or one of them is using the other as an ICD or "improvised climbing device," the scourge of Labor Law cases for well over 20 years. Let’s just enjoy it for what it is; an incredibly stupid way to get up to the window they are attempting to work on, or break into, or clean, or whatever they are thinking of doing. That is it for this month; as always, we are here to answer any question you may have, just give us a call. For any of you who do not have my cell phone number it is 716-553-6901. Feel free to call any time; I love the complex questions. Remember that our sister publications, Coverage Pointers ([email protected]) and Premises Pointers ([email protected]) are available for the asking for the same price as Labor Law Pointers, absolutely free forever. They are outstanding newsletters and cover their areas of law with in depth analysis and practice pointers designed to help keep busy claims professionals up to date on changes in the law and to provide helpful tips. 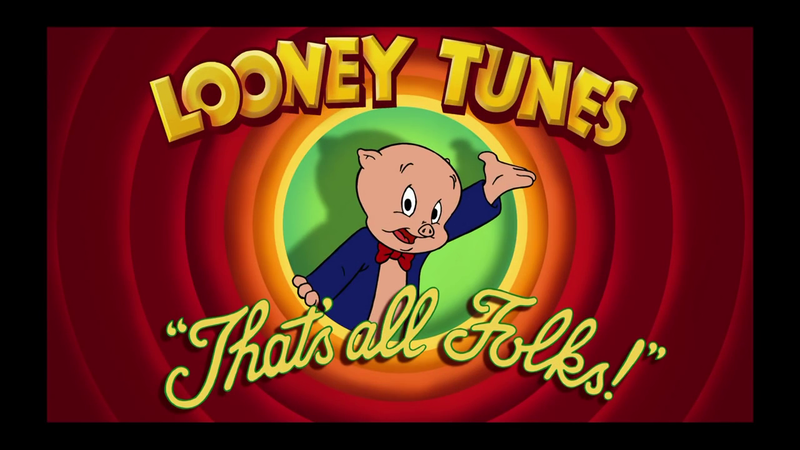 As Porky Pig always said, “That’s all Folks.” See you all next month. Plaintiff allegedly was injured when a metal shim plate affixed to a steel column being installed as part of a temporary truss system suddenly detached and hit him on the head. The trial court denied plaintiff's motion for partial summary judgment on his Labor Law § 240(1) claim as against defendants Hudson Yards Construction and Tutor Perini Building Corp. The First Department unanimously reversed, finding plaintiff established the accident was proximately caused by the undisputed failure of safety devices that were supposed to afford proper protection against the elevation-related risks plaintiff faced during the installation of the column being hoisted into place. In so holding, the Court found the tack welds used to secure the metal shim plate to the column were “safety devices” for the purposes of Labor Law § 240(1) because they were intended to be a temporary measure to keep the shim plate attached to the column during installation. The welds were to be removed once the column was in place, at which time the plates would be permanently bolted into place. The Court held the evidence established the accident occurred when the welds failed, causing the shim plate to fall, and emphasized the importance of reply briefs by noting the trial court should have considered plaintiff's reply argument that the one-sided tack welds were insufficient to safely secure the shim plate to the column because it responded to defendants' opposition. PRACTICE POINT: When we are faced with a falling object, the basis of a §240(1) claim is that the object must be one that is being hoisted or one that should have been secured to prevent the object from falling. Here, as the tack welds which failed causing the plate to fall were specifically to hold the plate in place as the truss was being installed, it is difficult to attempt to argue that the weld was not intended to secure the plate. Plaintiff, an experienced 52-year-old electrician, was working on a ladder when it started to move. As he tried to stabilize the ladder, it tipped and struck him in the chest. 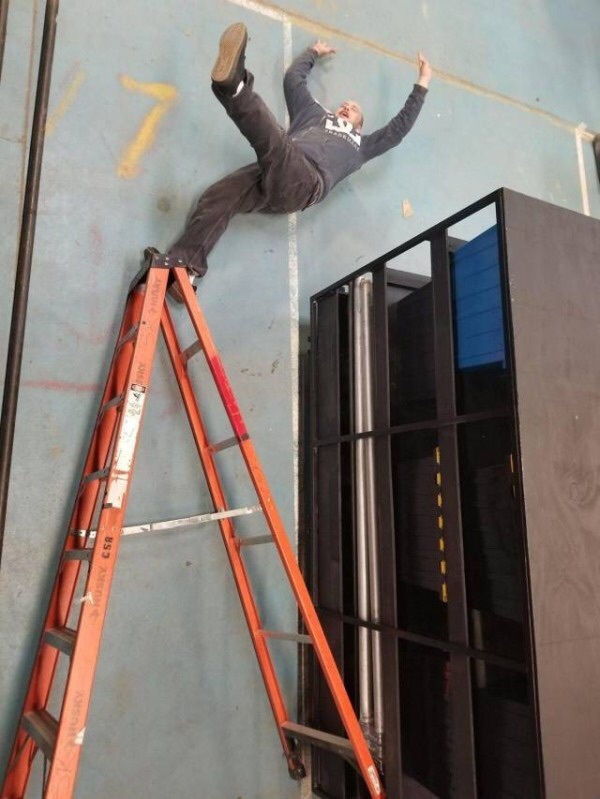 Prior to passing away, he described his accident to his wife, alone in an emergency room while awaiting surgery, and stated he should have known better than to use the ladder as he did. The trial court granted plaintiff’s summary judgment motion on his Labor Law § 240(1) claim, and denied defendants’ motion for summary judgment dismissing the complaint. The First Department unanimously reversed and denied plaintiff's motion for partial summary judgment on the Labor Law § 240(1) claim, finding plaintiff's testimony about her now-deceased husband's statement admissible as a declaration against interest and the circumstances established that he knew his statement was against his interest and thus was found reliable. Moreover, decedent's coworker, who was working in the same apartment unit, went over to decedent's area for routine purposes, saw that the ladder was in the upright position about ten feet away from decedent when he expressed that he was suffering from chest pains. Although decedent was disoriented and unable to answer basic questions at some points, he eventually became alert while in the hospital, yet his medical records do not refer to any ladder accident. The Court disagreed with plaintiff and found that defendants preserved their arguments about triable issues of fact by asserting them in their memorandum of law in opposition to plaintiff's motion. However, defendants failed to preserve their argument that even if plaintiff was injured by the ladder, his conduct was the sole proximate cause of his injuries, and declined to review that fact-sensitive argument. PRACTICE POINT: The first lesson to be learned from this case is to make all of your arguments in the motion. 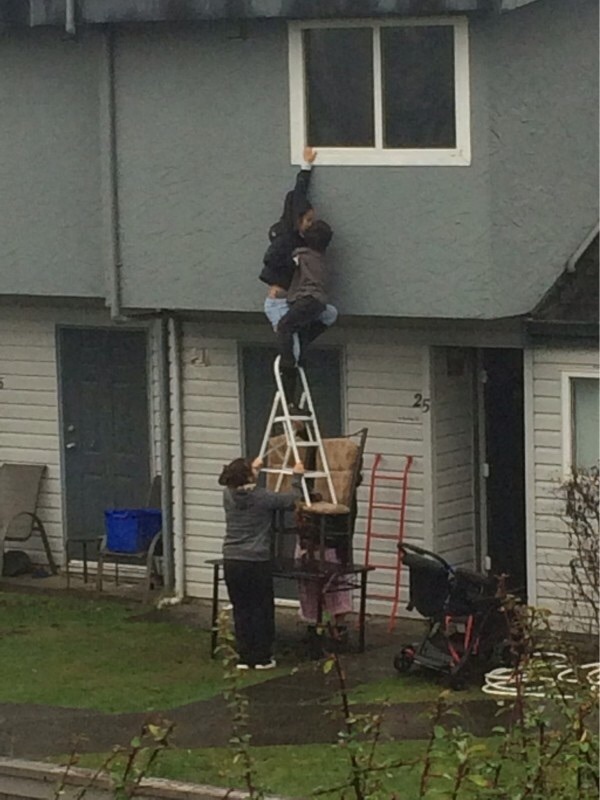 Here the defendant failed to argue that the plaintiff was the sole proximate cause of his fall and injury, an argument that may have worked given plaintiff’s statement to his wife that he knew he should not have used that ladder. It is ironic that it is the statement against interest of the plaintiff which forms the only evidence that he actually fell from a ladder at all, as all other evidence points to a medical situation and not a fall. Gives me the thought that it may not actually be a statement against plaintiff’s interest. Where there is competing evidence as to how the accident occurred, one that supports the claim and one that does not, summary judgment is not appropriate. The First Department held the trial court should have dismissed the Labor Law § 241(6) claim predicated on an alleged violation of Industrial Code (12 NYCRR) regulations §§ 23-1.2, 1.5, 1.16, 1.17, 1.30, 1.31, 2.1, and 2.4 which were abandoned “since plaintiff failed to specify any particular subsection(s) and subdivision(s) of these provisions”, citing McLean v Tishman Constr. Corp., 144 AD3d 534, 535 (1st Dept 2016). The First Department declined to review defendants’ arguments with regard to Labor Law § 200 and common-law negligence because those arguments were unpreserved and involved the resolution of facts relevant to issues not raised before the trial court. Moreover, defendants’ arguments were not purely legal arguments that were clear from the face of the record. In other words, make sure the argument is in your papers! 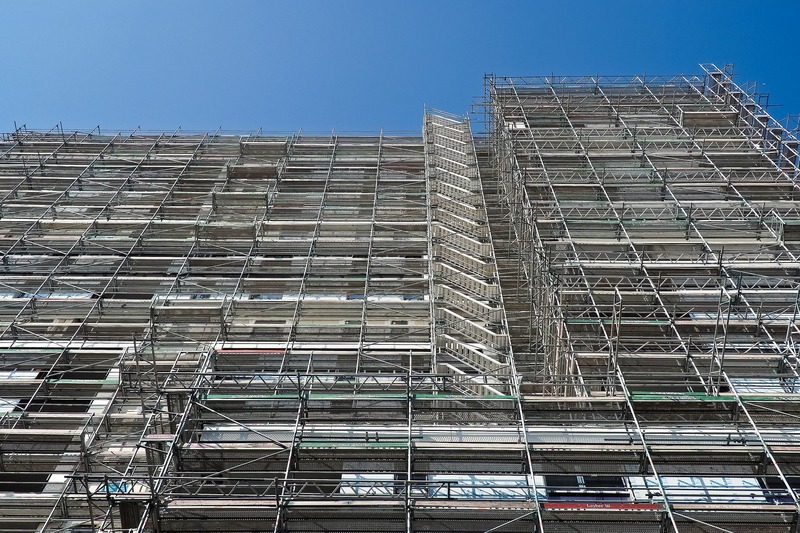 Plaintiff allegedly was injured when a cinder block wall he was demolishing collapsed onto the scaffold upon which he was working, knocking the scaffold over. The bottom of the wall had already been demolished when his accident occurred. The trial court denied plaintiffs’ motion for summary judgment on the issue of liability with respect to his Labor Law § 240(1) claim. The First Department unanimously affirmed, finding triable issues of fact exist whether plaintiff was instructed to demolish the wall from top to bottom, and whether any decision by plaintiff to work from the bottom up (in contravention of an explicit instruction or in contravention of his training or common knowledge) was the sole proximate cause of the accident. PRACTICE POINT: To start who demolished a block wall from the bottom to the top? I genuinely hope that this case is tried and the plaintiff is left to explain that he was instructed to demolish a block wall from the bottom up in direct contravention of the laws of physics. That said, as long as one person says that the plaintiff was so instructed, there will remain a question of fact which can only be resolved by a jury. Petitioner was injured in a construction accident and served his notice of claim on the City University Construction Fund (CUCF) on the 91st day after the incident, one day late, allegedly because of “a clerical error made by the process server.” The trial court denied petitioner’s motion to retroactively deem his late notice of claim timely served. The First Department reversed because CUCF acquired actual notice of the essential facts constituting the claim within a reasonable time after the expiration of the 90-day statute of limitations period under General Municipal Law § 50-e(1) due to the fact that petitioner filed his notice of claim only one day late. Moreover, the notice of claim provides the essential facts constituting the claim and further describes CUCF's alleged negligence and alleged violations of Labor Law §§ 240(1), 241(6) and 200, and certain Industrial Code provisions. Additionally, petitioner demonstrated his one-day delay in serving the notice of claim did not substantially prejudice CUCF's defense on the merits since CUCF had actual knowledge of the facts constituting petitioner's claim only one day after the expiration of the 90-day statutory period and thus, had ample opportunity to conduct a thorough investigation. The Court rejected CUCF’s conclusory argument that the one-day delay prejudiced it in any way. PRACTICE POINT: It is actually surprising that the trial court did not allow the late filing. There is little hope in the argument that the defendant was prejudiced on the 91st day more so than he was on the 90th day. Late notices of claim are routinely allowed if they are only a little late, or if there was knowledge by the defendant that the incident had occurred. That said, it is always a good idea to see if you have grounds to fight the late notice of claim. In our last edition, there was a case where it was denied given the defendant’s lack of knowledge of the accident for many months after the accident, not to mention what you will learn when you read the case two down. Plaintiff, while working as an electrician at a construction site and employed by FJF, allegedly was injured when he fell over a partially secured metal track (metal stud) that carpenters had installed as part of the framework for a sheet-rocked interior wall. The metal track was not secured to the floor and protruded eighteen inches into the passageway/work area. Plaintiff alleges that he tripped and fell because of inadequate lighting and because of the protrusion. According to the complaint, Friars owned the premises. Friars and OSIB-BCRE hired Flintlock as the general contractor to build a hotel at the premises, which hired a subcontractor, FJF, to construct, renovate, and alter the premises. The trial court granted defendants summary judgment dismissing the Labor Law § 241(6) based on Industrial Code regulation 1.7(e)(1) and (e)(2), and denied plaintiff's cross-motion on that claim. The First Department unanimously affirmed; finding 1.7(e)(1) and (e)(2) did not apply because the allegedly hazardous condition was integral to the work plaintiff was to perform at the time he was injured. Petitioner allegedly sustained injuries as a result of falling off an A-frame ladder while taking field measurements for a “light trough” at a construction site on premises allegedly owned, operated, and controlled by respondents. According to an accident report prepared by respondent DDC and an incident investigation report prepared by petitioner’s employer, petitioner lost his balance while reaching for his clipboard, which had been blown off the ladder by a gust of wind. The trial court denied petitioner’s application, pursuant to General Municipal Law § 50-e(5) for leave to serve a late notice of claim or, in effect, to deem a late notice of claim timely served because petitioner failed to annex an accident report showing a causal nexus between his injuries and a violation of the Labor Law to demonstrate respondents had acquired actual knowledge of the essential facts constituting the claim within 90 days of the incident or a reasonable time thereafter, and failed to establish respondents lacked prejudice by the delay. The trial court thereafter denied petitioner’s motion for leave to renew on the ground that the accident report and the incident investigation report would not have changed its prior determination, since they established only that Nadler lost his balance. The Second Department affirmed, finding petitioner failed: to establish the respondents acquired actual knowledge of the essential facts constituting the claim within ninety days after the accident or a reasonable time thereafter, to provide a reasonable excuse for their delay, or to show respondents would not be substantially prejudiced in their ability to maintain a defense. The Court further held that a motion for leave to renew must be based upon new facts not previously offered that would change the prior determination. Here, both the accident report and the incident investigation report stated petitioner lost his balance while reaching for his clipboard, which had been blown away by the wind. Therefore, petitioner’s evidence demonstrated that he fell off the ladder because he lost his balance, and there was no evidence that the ladder from which he fell was defective or inadequate. PRACTICE POINT: Where the defendant does not acquire knowledge of the essential facts of the accident within the first 90 days or a reasonable time thereafter, absent a reasonable excuse, the request for an extension may be denied. Always remember, however, that this is generally in the discretion of the court. This case gives us the opportunity to discuss the difference between a motion to renew and a motion to reargue, as well as the manner in which they should be appealed if necessary. A motion to renew is a motion to have the motion heard again based on the introduction of new facts or law, not available at the time the motion was heard before. It is not simply new facts or law not argued before, but must be new facts or law not available at that time. A motion to reargue is a motion brought to pursue a claim for which the court misapprehended either the facts or the law in its original decision. In either case, given that the original decision was not to the liking of the party seeking to either renew or reargue, it is the original decision that MUST be appealed, not the motion to renew or reargue. The appeal of the second motion is only to appeal the decision to allow the renewal or re-argument of the original motion, not the decision in the original motion. This is a lesson hard learned by many attoneys. Poulin v. Ultimate Homes, Inc. Plaintiff, a drywall installer, allegedly was injured at a residential construction site when he fell through the opening of an unfinished stairwell into the basement of the premises. Although a railing had been placed around the stairwell’s opening, it was removed so that drywall installers could access the work area. Fortin, plaintiff’s employer, testified that to install drywall on the ceiling over the stairwell opening, plaintiff placed planks over the opening, and then he and plaintiff placed two pieces of plywood over the planks. However, the plywood did not completely cover the opening and, when Fortin left the room to get his tools, plaintiff fell through the opening. The trial court granted plaintiff’s summary judgment motion on his Labor Law § 240(1) against Ultimate, and denied Ultimate’s motion to dismiss the Labor Law § 200 and common-law negligence claims against it and for common-law indemnification against Fortin. The trial court also granted Nielson’s and Fortin’s motions to dismiss the complaints and all cross-claims. The Second Department affirmed summary judgment to plaintiff since plaintiff fell through an open, unfinished stairwell and was not provided with safety devices to prevent or break his fall. The Court reiterated that a defendant is not absolved from liability where, as here, a plaintiff’s injuries are at least partially attributable to defendant’s failure to provide proper protection. PRACTICE POINT: It is difficult to argue against a §240(1) case where the plaintiff falls though an uncovered portion of the open stairwell. There is no opportunity for a sole-proximate-cause defense where, as here, it was not only the plaintiff who covered the opening. Had the plaintiff covered the opening himself and failed to do so in an appropriate manner, as he was trained, then a sole-proximate-cause defense could have been viable. The Second Department modified the trial court’s order and granted Ultimate’s motion for summary judgment as to plaintiff’s claims for violations of Labor Law § 200 and common-law negligence. The Court found plaintiff’s accident arose not out of a dangerous condition on the premises, but out of the method and manner by which plaintiff and his employer covered the opening to the basement stairwell. Ultimate established that it exercised neither supervision nor control over the performance of the work giving rise to plaintiff’s injuries; it gave no instructions to plaintiff or his employer as to how to do the work; and it had, at most, general supervisory authority, which is insufficient to impose liability. Ultimate’s motion for common-law indemnity was denied by the trial court, which went on to grant, sua sponte, Fortin’s motion to dismiss. In reversing the decision, the Second Department first noted that Workers’ Compensation Law § 11 does, in fact, preclude a party from seeking common-law indemnification against the employer of an injured worker. However, the Court points out that the protection afforded to employers under Section 11 is ONLY available where the employer first complies with Section 10 and actually purchases workers’ compensation coverage. Where, as here, the employer did not provide workers’ compensation coverage, it follows that said employer loses the exclusivity protections provided by Section 11. Further, because Ultimate established that it did not supervise, direct or control plaintiff’s work, it established itself free of any negligence. Being, as Ultimate was here, only exposed to vicarious liability, it needed to only establish Fortin was negligent to some degree. With Fortin actually exerting supervision, direction, and control of the plaintiff’s work, it followed that Ultimate met this burden on that issue as well. Quizhpi v. South Queens Boys & Girls Club, Inc. Plaintiff, a demolition and asbestos abatement worker, had just walked to the area where he was to begin removing asbestos at defendant’s building when the portion of the roof on which he was standing collapsed, causing him to fall into the second floor of the building. However, the foreman of the work site testified at his deposition that plaintiff had begun removing asbestos prior to falling through the roof. The trial court granted plaintiff's summary judgment motion on his Labor Law §§ 240(1) and 241(6) claims. The Second Department affirmed as plaintiff demonstrated, prima facie, that the need for safety devices to protect him from an elevation-related hazard occasioned by removing asbestos from the roof of a building was foreseeable and in opposition, defendant failed to raise a triable issue of fact. PRACTICE POINT: An often overlooked requirement of a Labor Law case is the foreseeability of the accident. Here, per the court, it was foreseeable to the defendant that the plaintiff would need a safety device to protect him if the roof collapsed as he was removing asbestos from it. While this is not an example of the risk not being foreseeable, it does bring that requirement into focus. The Second Department affirmed summary judgment to plaintiff based on Industrial Code regulations 3.3(c) and (1), which apply to certain situations involving demolition work because plaintiff was engaged in demolition work at the time he fell. The Court noted that the Industrial Code defines “demolition work” as “[t]he work incidental to or associated with the total or partial dismantling of machinery or other equipment” (see 12 NYCRR 23-1.[b]). Trotman v. Verizon Communications, Inc. Plaintiff, a fleet mechanic, reported to work at a garage owned by Verizon, where he received a work request through a note posted on a cargo van, stating, “[b]eacon strobe light not working.” The light was located on top of the body of the van, ten feet from the ground. Plaintiff testified that he was not provided with a ladder to reach the top of the van. While in the process of climbing from the front hood to the roof of the van to replace the bulbs in the light, the plaintiff lost his footing and fell to the ground. The trial court granted summary judgment to Verizon, dismissed the Labor Law § 240(1) claim, and denied plaintiff's cross motion. The Second Department affirmed as the replacement of “components that require replacement in the course of normal wear and tear” constitutes routine maintenance, which is not a protected activity under Labor Law § 240(1), citing Esposito v New York City Indus. Dev. Agency, 1 NY3d 526, 528 (2003); Deoki v Abner Props. Co., 48 AD3d 510 (2d Dept 2008). PRACTICE POINT: The replacement of a light bulb has been held repeatedly to be routine maintenance, and it was so held here. But, hold your horses, as we have a different outcome later in this edition. See the Wass case below. Plaintiff, an ironworker for a nonparty subcontractor performing work at a construction site at a public high school, allegedly was injured when he fell from a ladder. He climbed a “ship’s ladder” leading to the roof of the school building to replace a missing bolt on that ladder where the top rung met the side of the ladder. As he neared the top, he grabbed hold of the top rung, which came loose, allegedly causing him to fall to the ground. The trial court denied plaintiff’s motion for summary judgment on the Labor Law §§ 240(1) and 241(6) claims against defendants City of New York, New York City School Construction Authority, and Dematteis Construction Corp. The Second Department held that plaintiff failed to establish, prima facie, that there was a violation of Labor Law § 240(1), or that his actions were not the sole proximate cause of his injuries because plaintiff’s deposition revealed he fell when the top rung of the ship's ladder, which he knew was missing a bolt, and which he had been sent up to the roof to replace, detached while he was in the process of climbing the ladder and after he had attempted to pull himself up by placing his hand on the top rung. He also testified that there were other ladders and pipe scaffolding available to use at the jobsite. PRACTICE POINT: Logic and fairness are such wonderful thing in a decision. Where the plaintiff knows the top rung is broken, and, in fact, he is there solely to repair that self-same broken top rung, to claim his injury caused when he decided to use the exact rung he knew was broken, were the fault of anyone but himself is ridiculous. In support of this claim, plaintiff relied on Industrial Code regulation 1.21(b)(1) and (3), which pertain to ladders. The Second Department held that while plaintiff established these provisions were violated, the Court found defendants raised triable issues of fact whether the ladder was an integral part of the work which was being performed and thus said provisions were inapplicable, and whether plaintiff’s conduct was the sole proximate cause of his incident. Giannas v. 100 3rd Ave. Corp. Plaintiff, an employee of Dynatec, was repairing fencing on the fourth floor of the building when he noticed what appeared to be a metal stud nailed across an open window. He climbed out of a neighboring window, crawled on scaffolding, and walked over to the window, intending to knock the stud into the building by hitting it with his hammer. As he swung his hammer, the scaffold surprisingly moved, causing him to lose his balance and fall through the window. However, another subcontractor’s V.P. testified plaintiff told him he tripped and fell while trying to enter the building from the scaffold, and did not mention anything about the scaffold shifting. The trial court denied plaintiff summary judgment on his Labor Law § 240(1) claim and granted construction manager JF Contracting Corp. summary judgment dismissing the complaint. The trial court also denied Rockledge’s summary judgment motion seeking dismissal of the common-law negligence claim against it, and on its contractual indemnification cross-claim against JF Contracting Corp. (JF). The Second Department held that summary judgment is not appropriate where there is a triable issue of fact as to the manner in which the incident occurred. The Court also affirmed denial of plaintiff’s motion against JF and summary judgment to JF because JF established it lacked the authority to control or supervise plaintiff’s work in light of plaintiff’s testimony that Dynatec was responsible for safety at the job, no one from JF controlled or supervised his work, and he was hired by Dynatec to supervise the work that the subcontractors performed. PRACTICE POINT: Where there are conflicting description of the manner of the happening of the accident, and one supports a finding of a violation of the Labor Law and one does not, summary judgment is not available to either party. The important issue here is that where one version supports the claim and the other is different but does not actually contradict the plaintiff’s version, summary judgment is often awarded. Here the differences between the versions are not merely that the plaintiff did not mention that the scaffold moved prior to his fall, but the versions have him doing completely different things at the time of the accident. The Second Department affirmed denial of Rockledge’s motion to dismiss the common-law negligence cause of action, finding a triable issue of fact regarding whether Rockledge negligently installed the scaffold. The Court held that while, generally, a contractual obligation, standing alone, is insufficient to give rise to tort liability in favor of a non-contracting third-party, there is an exception when the promisor, while engaged in discharging its contractual obligations, “launches a force or instrument of harm.” The Court opined the allegation of negligent installation of the scaffold fell within this exception. Issues of fact surrounding Rockledge’s potential negligence also preclude its motion for contractual indemnity against JF. The Second Department correctly noted that General Obligations Law § 5-322.1 prohibits a party from being indemnified for its own negligence. To establish a right to contractual indemnity, the movant must establish not only the existence of a valid contract, but also a lack of negligence. Plaintiff allegedly was injured when he slipped and fell on snow and ice on a grassy lawn in front of a townhouse in a residential complex that was under construction. At the time of the accident, plaintiff was working for a company responsible for delivering and installing cabinets for the residences being constructed on the premises. Plaintiff testified that, while delivering cabinets, he stepped onto a grassy lawn abutting the driveway on the premises, walked toward the rear of his truck, and slipped on snow and ice on the grass. The trial court granted defendants' motion to dismiss the complaint alleging Labor Law §§ 241(6), 200, and common-law negligence. Plaintiff’s claim is predicated on alleged violations of Industrial Code regulation 1.7(d) and (e), and was dismissed by the Second Department because defendants established those provision did not apply since the incident did not occur in a passageway or in a work area. The Second Department affirmed dismissal of plaintiff’s Labor Law § 200 and common-law negligence claims as there is no duty to protect or warn against an open and obvious condition which is not inherently dangerous. Here, the Court found defendant met its burden of proof by demonstrating the snow and ice condition was open and obvious and not inherently dangerous. Moreover, because it was on the grassy lawn, and not a sidewalk or other area designed to be a passageway, defendant had no duty to shovel or remedy the condition. 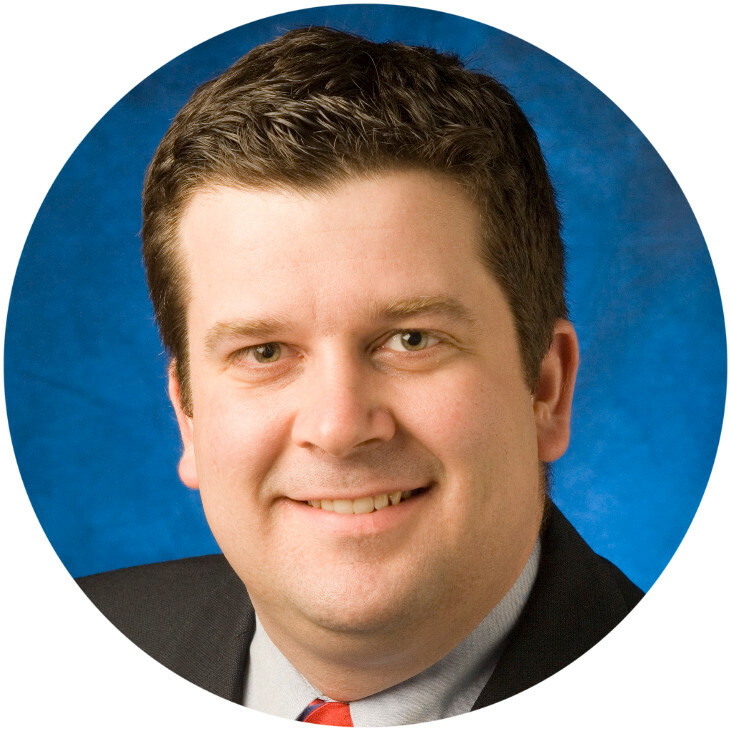 Wausau Underwriters Ins. Co. v Gamma USA, Inc. The nonparty-respondent Arjune Harripersaud, an employee of Geller, allegedly was injured when he tripped and fell while working at the construction site and brought suit against TNS and Tishman alleging negligence and violations of the Labor Law. Tishman's insurer tendered the complaint to plaintiff in this action, Wassau Underwriters, which accepted the tender and agreed to defend and indemnify Tishman and TNS. Subsequently, Wassau Underwriters, as subrogee for Tishman and TNS, commenced this action against defendant subcontractors to recover damages for breach of contract and for declaratory relief. The trial court granted the motion of nonparty-respondents Tishman and TNS to dismiss the complaint and denied as academic plaintiff's cross-motion to consolidate. Apparently, Wassau paid a loss on behalf of its insured Tishman and TNS, and then sued the subcontractors it believed to be responsible for the incident involving the underlying plaintiff. Defendants opposed the action on the basis of a subrogation clause found within the Contractor Controlled Insurance Policy (“CCIP”). That clause, however, only waived the rights of contractors from seeking subrogation against Tishman and TNS. The waiver did not prohibit Tishman or TNS’ subrogee from asserting a claim against the subcontractors. Nevertheless, because the defendants were party to the CCIP, the anti-subrogation rule applies to bar Wausau’s claim. Where Tishman was prohibited from suing the contractors, so too were Wausau’s claims blocked. The trial court denied plaintiff’s motion to vacate a prior order which granted defendants’ unopposed motion, pursuant to CPLR § 3126(3), to strike the complaint alleging violations of Labor Law §§ 240(1), 241(6), 200, and common-law negligence. The Second Department affirmed the trial court’s rejection of plaintiff’s excuse of law office failure because evidence submitted by plaintiff demonstrated that plaintiff’s attorney made a conscious decision to send a per diem attorney on the motion’s return date to attempt to resolve the motion by stipulation rather than file and serve opposition papers. The Court held the decision by plaintiff’s counsel not to oppose the motion constituted a strategy, not law office failure, and thus was not a reasonable excuse. The Court further held plaintiff failed to demonstrate a potentially meritorious opposition as his failure to respond to discovery demands and comply with court-ordered discovery was willful and contumacious. PRACTICE POINT: The point here is simple, respond to every demand, oppose every motion, and represent your client. Plaintiff, a journeyman electrician, allegedly was injured as he was drilling holes through a plywood floor, when the drill he was using “bound up,” causing it to twist and fracture his hand. The trial court granted defendants' motion for summary judgment dismissing the complaint alleging violations of Labor Law § 200 and common-law negligence. The Second Department affirmed; finding defendants did not provide the equipment plaintiff used at the time of his accident, nor did they have the authority to supervise or control the performance of his work. Plaintiff allegedly was injured when he received an electrical shock while replacing a burnt-out 1,000-watt metal halide light bulb on a catwalk suspended above the ice rink at Nassau Coliseum. The trial court granted defendants’ summary judgment motion dismissing the complaint alleging violations of Labor Law § 200 and common-law negligence based on expert testimony that the light fixture was not in a dangerous or defective condition. The Second Department reversed the trial court’s order dismissing plaintiff’s claims for violation of Labor Law § 200 and common-law negligence. It found the defendants failed to meet their burden of proof because their expert’s affidavit was speculative, conclusory, and lacked foundation. Specifically, the expert failed to demonstrate the light was in the same condition when he inspected it two-and-a-half years after the incident, he failed to explain what his testing consisted involved, and he failed to include any empirical data or industry standards supporting his conclusions. Finally, the defendants also failed to establish they did not create the allegedly dangerous condition. This action arose out of the same incident as that above in Wass v County of Nassau, and thus the factual and legal issues are identical, as well as the trial court’s decision to grant defendants’ summary judgment and dismiss the Labor Law § 200 and common-law negligence claims. The Second Department applied the same reasoning as in Wass to reverse the trial court’s decision and deny defendants’ summary judgment. Burhmaster v. CRM Rental Mgt., Inc. Plaintiff, an employee of third-party defendant Jablonski, began working on replacing a roof at an apartment complex on the morning of his incident, but stopped when the weather became too windy and went to lunch. Plaintiff was called back to that apartment thirty minutes later, to perform emergency repairs since it was a windy day, and fell from the roof of a two-story building, owned by defendants Colonial Square and CRM Defendant Mercer, the general contractor, retained third-party defendant Young, who hired Jablonski as a subcontractor. The trial court granted plaintiff’s motion for partial summary judgment on his Labor Law § 240(1) claim, and granted Mercer’s motion for conditional contractual indemnification against Young The trial court also denied Young’s motion to dismiss the third-party complaint. The Third Department affirmed; finding plaintiff met his prima facie burden of establishing that no safety devices were in place to prevent plaintiff’s fall from the roof, nor did the defendant submit any proof that the incident was caused by anything other than the absence of safety devices. PRACTICE POINT: An un-witnessed accident in no longer grounds to oppose a summary judgment motion under the Labor Law. Where there is no version of the events which contradicts the plaintiff’s version, the motion will be granted. In this interesting case, Mercer moved for contractual indemnification against Young. Young acknowledged that a contract existed and that it was required to provide indemnification to Mercer when a loss arose out of the work of Young or its subcontractor Jablonski. However, the scope of the work was defined by the contract, and Young argued that the incident in question occurred when plaintiff was performing work outside the original agreement. As such, Young reasoned that the strict interpretation of the contract prohibited Mercer’s recovery. The Court agreed that indemnity clauses must be strictly construed, but it noted that modifications of written contracts can be enforceable even when, as here, they are not recorded as change orders to the original documents. Where the parties’ mutual actions demonstrate that a departure from the original document was understood by everyone, the work will be deemed to be within the scope of the contractual relationship. Here, the testimony established that modifications to the work were constantly made between the owner, Mercer, Young and Jablonksi. It is only where the changes would have resulted in a cost change that the alterations were memorialized as a change order. Jablonski further acknowledged that it did not submit a change order for the work leading to plaintiff’s injury, nor did it receive any additional compensation. On this record, the work was part of the scope of the agreement, and thus the indemnity clause was triggered. Because Mercer further established that it did not supervise, direct or control the work of Jablonski workers, Mercer also established it was free of any negligence. With an enforceable contract, and only vicarious liability, Mercer’s contractual-indemnity claim was granted. Plaintiff was hired to install siding at defendant’s rental property, and allegedly was injured when he fell from a makeshift elevated platform. The trial court granted plaintiff's motion for summary judgment on the Labor Law §§ 240(1) and 241(6) claims. The Third Department affirmed as defendant was a property owner subject to the statute, and because he provided no equipment to plaintiff aside from agreeing to rent a lift for plaintiff’s use. The Court held plaintiff’s expert engineer’s opinion that the unsecured makeshift platform was unsafe and that plaintiff’s injury could have been prevented if he was provided a proper scaffold and a safety harness, was sufficient to meet plaintiff’s prima facie burden of showing a statutory violation that was a proximate cause of plaintiff’s injuries. Justice Lynch’s dissent accepted defendant’s arguments that inconsistencies in plaintiff’s account over time raised a material question of fact as to how the incident occurred, i.e., whether he fell off a ladder or a makeshift pick and ladder platform. The dissent also found a credibility issue with plaintiff’s explanation for not describing the platform to the medical providers. PRACTICE POINT: Where the description by the court starts with the term “makeshift elevated platform” you have a good idea where the case is headed. Here the plaintiff was not provided with a safety devise appropriate for the task being done and thus, summary judgment was awarded. Wiley v. Marjam Supply Co., Inc. Plaintiff allegedly was injured when sheetrock fell on his ankle while working at a construction site owned by the Woodstock Commons. Defendant Libolt & Sons was the general contractor for the project who subcontracted with defendant Rocker to install the sheetrock. Rocker hired defendants Marjam to supply and deliver the sheetrock. After the sheetrock was delivered to the site, Marjam hired defendant Jumpstart Realty, LLC to offload and distribute the sheetrock. Plaintiff testified that he was walking across the room and was four feet from the sheetrock when he pivoted, and the sheetrock fell and hit him. The trial court granted certain defendants summary judgment dismissing the complaint, and upon reargument, adhered to its prior decision. PRACTICE POINT: Sheet rock stored on the ground, according to the Third Department, does not create the “significant elevation differential” necessary to qualify under §240(1). Interestingly the court used the exact language from Runner without citing it. The Third Department affirmed summary judgment dismissing plaintiff’s Labor Law § 200 and common-law negligence claims. With respect to Rocker, the Court found it demonstrated its workers were not on site and had not yet begun its work until after plaintiff’s accident. Moreover, Rocker was not involved in unloading or stacking the drywall. Marjam similarly demonstrated it was not involved in offloading and stacking the drywall. Instead, it hired Jumpstart to perform that work and Marjam did not direct or control Jumpstart. Finally, Libolt demonstrated it neither controlled nor gave instructions to Jumpstart on how to stack the drywall, and its retention of general supervisory control and the presence of its superintendent on site were not enough to show it exerted the requisite control to be held liable. Anderson v. National Grid USA Serv. Co. Plaintiff, a cable and internet service technician, allegedly was injured when he fell from the roof of defendant’s detached garage while attempting to access a utility pole owned by National Grid USA Service Co. and Verizon Communications, Inc. (defendants). After Plaintiff realized he could not obtain ground-level access to the utility pole, without seeking his supervisor’s further instruction, he climbed over the roof of the garage to gain access to the pole, behind a locked garage. As he reached the peak of the roof, the ladder he was carrying over his shoulder got caught in utility wires suspended over the garage, while at the same time, his ankle became entangled with a telephone wire hanging just above the roof. When he tried to free himself by shaking his leg loose from the wire, he fell backwards, dropped the ladder and rolled off the front of the roof. The trial court granted defendants’ summary judgment motion dismissing the Labor Law § 200 and common-law negligence claims. The Fourth Department affirmed dismissal of plaintiff’s Labor Law § 200 and common-law negligence claims as defendants established the wires hanging above the roof of the garage did not, as alleged by plaintiff, constitute a “tripping and walking hazard” along an area of the property leading to the worksite. Instead, the alleged defect arose from plaintiff’s method of performing the work by foregoing appropriate, authorized means of obtaining access to the utility pole and deciding to traverse the pitched roof of the garage over which the wires hung. Defendants demonstrated they did not exercised supervisory control over the means and methods of the injury-producing work and, therefore, were entitled to summary judgment. Lord v. Whelan & Curry Constr. Sers., Inc. Plaintiff allegedly fell through a roof while working on a demolition project. The trial court denied defendants’ motion for summary judgment seeking dismissal of the complaint, and granted plaintiff's cross motion for partial summary judgment on the Labor Law § 240(1) claim. The Fourth Department unanimously affirmed summary judgment to plaintiff, who established defendants’ failure to provide adequate fall protection was a proximate cause of the accident. The Court rejected defendants’ sole proximate cause argument because they failed to demonstrate whether safety harnesses “were readily available at the work site, albeit not in the immediate vicinity of the accident”, citing Gallaher v New York Post, 14 NY3d 83, 88 (2010); cf. Scruton v Acro-Fab Ltd., 144 AD3d 1502, 1503 (4th Dept 2016). The failure to use or the misuse was for no good reason. Failure to establish all 5 of these elements will preclude the use of the sole proximate cause defense. The Fourth Department modified the trial court’s decision and considered defendants’ argument, which was not advanced to the trial court because “defendants lacked an opportunity to raise it at any time before they appeal.” However, the Court cautioned that “[a] motion for summary judgment on one claim or defense does not provide a basis for searching the record and granting summary judgment on an unrelated claim or defense”, citing Miller v Mott’s Inc., 5 AD3d 1019, 1020 (4th Dept 2004). Here, defendants only argued that dismissal was warranted on the Labor Law § 241(6) claim on the ground that plaintiff was the sole proximate cause of his injuries. Accordingly, the Court dismissed this claim insofar as it was based on alleged violations of 1.7(b)(1) and 3.3(c). 1. 12 NYCRR § 23-1.14 – Protection in Construction, Demolition and Excavation Operations; Temporary combustion devices. 2. Regulation § 1.14, concerns temporary combustion devices using charcoal, coal, or any other fuel or combustible substance or liquefied gas. 3. No cases have been found involving an alleged violation of regulation 1.14. If you know of or found one, please let me know.